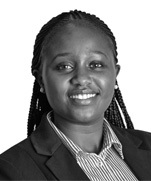 Nancy is a senior associate at Dentons Hamilton Harrison & Mathews. She is part of the Corporate, Commercial and Real Estate team and a member of the Banking and Finance, Real Estate, Planning and Environment, and Business Set-Up and Regulatory Compliance practice groups. She is also experienced in succession planning. Making Hay Limited: Advising on its amalgamation of seven parcels of land on which it shall construct 17 luxury villas. In Phase 1, advising on the amalgamation of the parcels, and on the structure of the developer as well as preparing the documentation on the establishment of a common management company to manage the common areas and own the revisionary interest of those areas, the documentation for the eventual sale and lease of the units and the building and consultancy agreements. In Phase 2, drafting and perfecting the security documentation to enable the company to obtain funding for the construction of the villas from a banking institution. In Phase 3, acting in the sale and transfer of the 17 luxury villas. SMM Investments Limited and its affiliates: Advising on the purchase of four residential properties within Kenya. Reviewing the documentation and advising the client on the purchase of one of the holiday homes in Naivasha. The purchase of the properties is in line with the expansion of its real estate portfolio within Kenya. Kibos Sugar and Allied Industries: Advising the leading sugar miller, on an ongoing land swap transaction between the company and the Government of Kenya. Advising on obtaining banking facilities to be secured by its assets in line with its expansion project in the sugar sector. Confidential client: Advising the client that is currently restructuring on liquidating its properties charged to various lenders in Kenya and Uganda. Confidential client: Advising five clients who owned prime land as tenants in common and who wished to terminate the relationship. In addition, acting for one of the said owners who successfully transferred its interest in the property to a third party. The developer of the Montave: Advising a mixed-use development that fuses all facets of urban life. A foreign investor: Advising in the infrastructure industry on its acquisition of immovable property.